Blue Eye Trevalla is the name most used by Tasmanians to describe Hyperoglyphe Antarctica, a fish species found in all southern oceans and like most widely distributed fish they have come to be known by a variety of different names. Blue Cod, Antarctic butterfish, Bluenose Warehou, Deepsea Trevally, Blue Nosed Sea Bass or Deep Sea Trevalla, are all names used to describe one of Tasmania’s finest eating fish. It is regularly seen on restaurant menus — and as a line caught fish it is unlikely it is overfished. 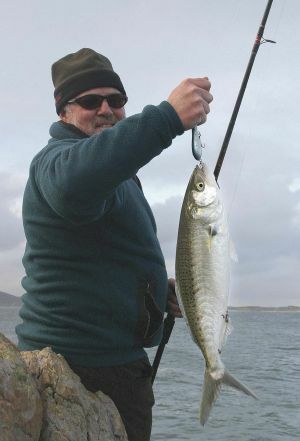 If someone had suggested to me 10 years ago that we would experience ‘whiting fever’ and see anglers catching King George whiting up to 60cm long in Tasmania I would have put it down as a bit of wishful thinking — I guess things change. Here is a typical scenario in my shop as November approaches. I am in my Tackle Shop working as usual when the phone rings. Me: Good morning this is St Helens Bait and Tackle. 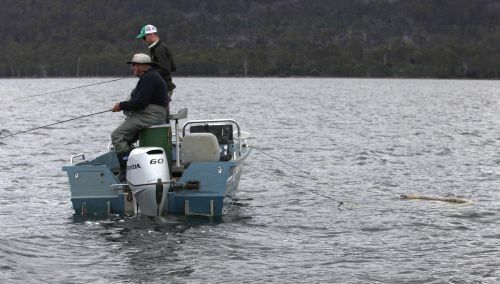 Caller: Hi, me and a few buddies are heading down on the weekend and wondering if the KG whiting are running? I don’t get ‘do you ever catch any?’ or ‘are there whiting in the bay?’ Now there is the expectation of a whiting season every year and I am receiving call, after call, after call. The start of daylight savings excites the trout fisher as it signifies the general start to the mayfly season; an insect that causes many a trout angler to become obsessed, chasing that hatch like a moth to a flame. Many anglers who chase trout also target bream but at this time of year, as trout anglers are in such a mayfly-induced trance, thoughts of bream become nullified. For the sneaky bream angler, this is a gift, paving the way for cheeky little solo sessions and all-round good times for you and your mates! Whilst I have spent a lot of time fishing from the shore in recent times I have really enjoyed fishing from a kayak, so I will cover that as well. Locations One of the absolute prime spots for Australian salmon in Tasmania is the northern part of the West Coast. You will see Marrawah on the map and close by are two of my favourite places, Nettley Bay and Sinking Rock, off the north eastern side of Green Point. These are consistently prime places as is both East and West Inlet, although I would favour West Inlet over the two. Warmer and longer days are what all Tasmanian fishers look forward to the most, as we head into the month of October. 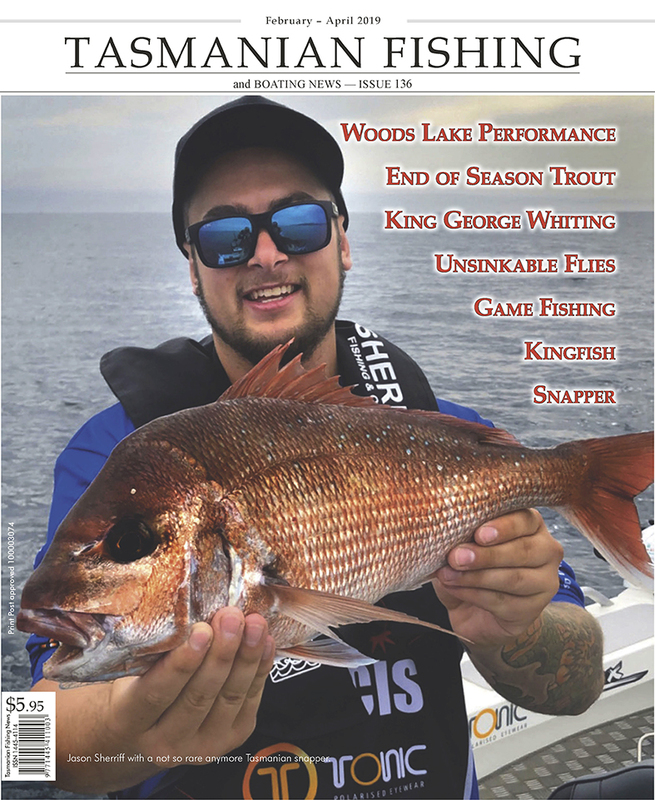 Here we explore what is in store for southern inshore anglers as we head into spring and how to do it using nothing other than the famous fish catching abilities of just some of the large Berkley range of soft plastics. Swansea can quite rightly lay claim to be the Bream fishing capital of Tasmania. 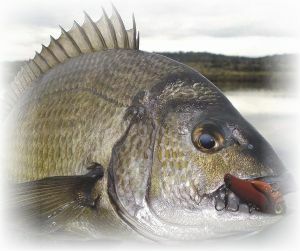 The nearby Swan River literally teems with Southern Black Bream, a renowned species that is valued highly, especially in recent years, for its sports fishing attributes. But as the knowledgeable angler knows there is far more to attract the visiting fisherman to the seaside town than just Bream. The waters of Great Oyster Bay hold many, many species of fish. 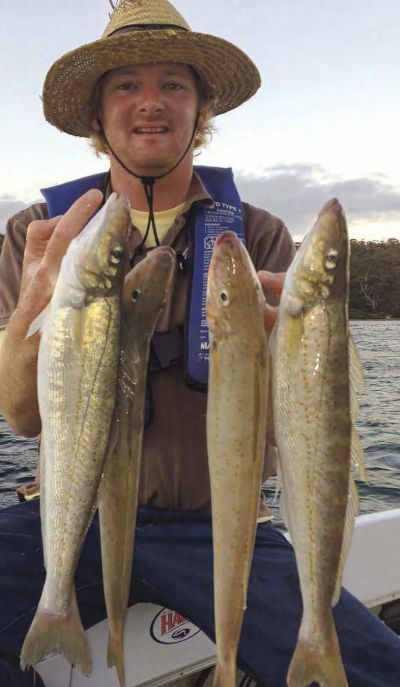 The more common species encountered in the bay are Sand and Tiger Flathead, Sand Whiting, Australian Salmon, Barracouta, Arrow and Calamari Squid, Gummy and School Shark, Jackass Morwong and plenty of Wrasse. 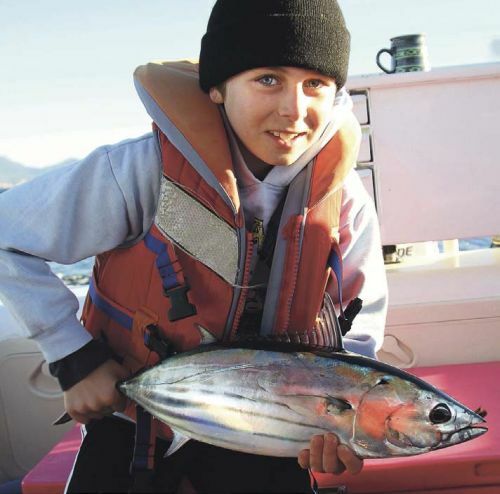 Further out in the waters around Schouten Island and beyond pelagics, including Albacore, Striped, Southern Bluefin and Yellowfin Tuna are possibilities. Mako Shark are also quite common offshore for those wishing to target them. 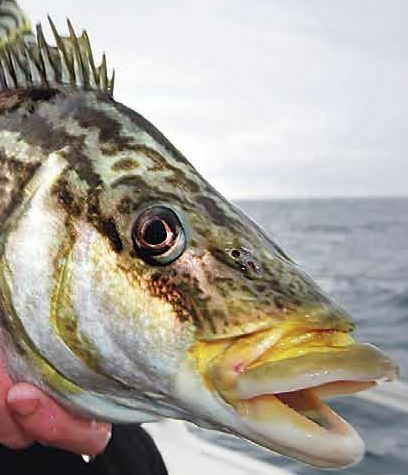 Deep sea fishers will be able to locate stocks of Striped Trumpeter, Blue Eye Trevalla and Gemfish with a little research. 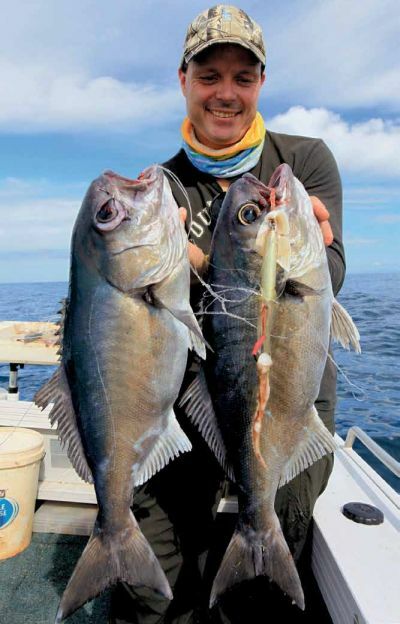 Tasmania’s coastal waters are fast gaining a reputation of having some of the best variety and quality of fishing in the southern half of Australia. Every season for the last decade or so we seem to be experiencing new and unusual species migrating into our waters and revised management strategies are ensuring that fisheries are protected for future generations. There is one particular species though that has stood the test of time and has the potential to really put us on the map and that is Latris lineata or the striped trumpeter. Quite often classed by Tasmanians as “one of the best eating fish in the sea”, the striped trumpeter, or sometimes known as the Tasmanian trumpeter, are mainly caught off the coast of Tasmania, but can be caught in South Australia and Victoria and are also found in New Zealand and South American waters. They are reported to grow up to 1.2m in length and about 25kg in weight and live for up to 30 years. Summer is certainly the best time of the year to go fishing around Burnie. With a little well prepared burley, you can catch just about anything! From big silver trevally and salmon to elephant fish and seven gilled sharks, there is something for just about everyone. Red Rock, situated on the western side of Burnie in the suburb of Cooee, is my favourite spot to wet a line around town. Why? The variety. There isn’t that much you cant catch there! I’ve been fishing at Red Rock and it’s surroundings ever since I was a young whipper- snapper and I don’t think I’ve had so much success anywhere else around Burnie, or along the entire north western coastline for that matter! 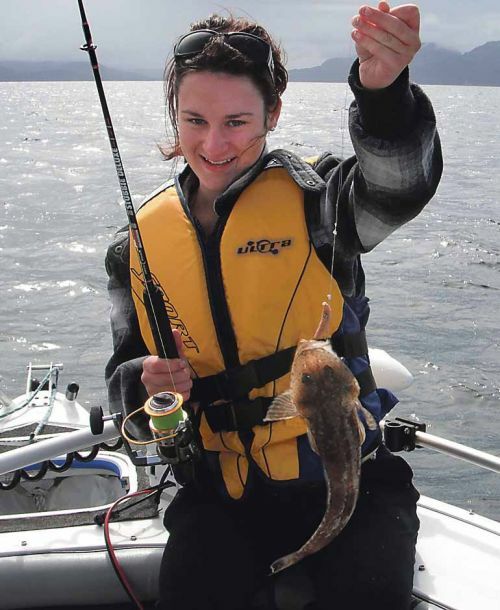 The humble Flathead is without doubt the Tasmanian anglers most sought after recreational saltwater species. They can be found virtually anywhere there is a sandy bottom, from our estuaries to our bays, they are easy to catch and as an added bonus, are fabulous on the dinner table as well. Mike Stevens has asked me to pen a few words together aimed at those that want to start targeting this species and perhaps aren’t really familiar on how to go about it, so here goes. There are three distinct species of flathead found around Tasmania and perhaps the most common is the southern sand flathead. They can grow to around 50cm in length and over 2 kg in weight, but due to them having to be around 16 years of age in order to reach this size; fish like these are the exception rather than the rule. Their colours vary depending on surroundings but they are usually a light brown or mottled pattern on top with a white belly. Squid fishing has become hugely popular in Tasmania in recent times and the start of spring and early summer heralds a new migration of the fish and tasty squid rings on the dinner plate. 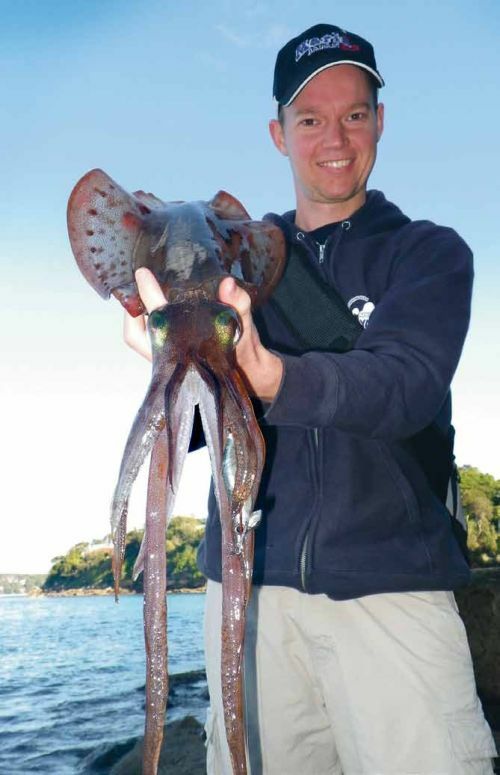 Whilst we have arrow and calamari squid in Tasmania the target species I am talking about here is calamari.